I recently attended a graduation ceremony and was amazed at the number of students engrossed in their phones, occasionally looking up to applaud a graduate. What's happening here? Have we created a whole generation of socially-retarded morons preferring to network on Instagram and Snapchat than engage in physical dialog anymore? What's even more disturbing is the lackadaisical attitude displayed by so many of them when you ask them about their career plans and ambitions. Most seem pretty happy to sit around at home staring into their phones for a couple more years until their perfect job just happens to turn up on their doorstep. If you haven't gone down a specific career track such as medicine, law, finance or engineering, the future is an apparent wilderness of vagueness, deluded desires and uncertainty. Doesn't anyone have a plan to start somewhere and work their way up to a better place in the future? Isn't that what us mid-career folks did when we were starting out? So let's focus on our industry - the one of servicing enterprise IT and business operations effectively. Whether we buy, sell or advise on business operations, if we don't have succession plans to blood the next generation of talent, we'll just become an industry of old farts with over-bloated salaries and a culture of preserving the past, not advancement into the future. In my view, failure to develop a Millennial Strategy will be the ultimate death-knell to a long fruitful future for business and IT services, and we may as well accept the reality that we will become mimicked into a piece of RPA software and erased into the ethernet of digital retirement within the next decade. Our problem isn't one of setting out challenging work and even creating exciting roles for people, it's about getting them focused and interested in building a career as a Capability Broker. 1) Establish the Chief Services Officer role. We need transformational leaders to define and drive Capability Broker roles. There are several excellent governance leaders today developing these careers who are helping define the next generation of services professionals. We had some of the at our recent Dallas event. We need to give these people an identifiable role in the organization that inspires others to join their teams. CPO, CHRO roles are too broad and, let's face it, not exactly inspiring to the younger generation. As Fast Company famously revealed ten years ago now, the bottom 2% of MBAs end up in HR, and I dread to think the number that wind up on procurement. We need a services leader who sits over the operations of a business to ensure the right partnerships are being brokered and the right careers are being developed internally to take maximum advantage from them. 2) Promote the career path of the Capability Broker. Today's service practitioner is increasingly becoming less about having specific skills wrapped up in a nice bow, such as “ABAP programmer”, or “Vendor Contract Manager”; it’s now about being a Broker of Capability – people who can multitask across multiple disciplines and find business problems, in addition to solving them, who can work with multiple delivery vehicles or partners, such as service providers, SaaS platforms, crowdsourcing firms, shared services COEs etc. And these brokers must operate as real integration points of capability, not simply procurement administrators that negotiate rates and manage contracts. This sounds much like an exciting career path that incorporates genuine resourcefulness, ingenuity, consultative acumen and ability to think out-of-the box in order to achieve real outcomes for an enterprise. So let's start promoting these roles as such... they're exciting and require smart people to grow into the roles, where there is no defined curriculum and need an ability to handle ambiguity and go with the flow. 3) Orient towards Design Thinking over Six Sigma. Six Sigma, Lean and process excellence saved the BPO industry over the last decade from the unprofitable excesses of the early days of off-shoring - and gave service providers a frosting of process excellence by which to brand their offshore-dominant strategies. However, we at HfS believe that these are no longer the most suitable approaches by which to improve business processes. Six Sigma is about eliminating waste and solving imperfections in processes. Instead, we believe that, as a market, we need to lead our process improvement efforts with a starting point based in Design Thinking, which is about finding problems, not just solving them. We need to see the desired outcomes from clients and, in turn, their customers, as the lens by which to look at processes rather than the process itself. All too often, we have “optimized” processes for cost, based on a very inward looking view of the business process, which either keeps the view of the external connections of the process static, or just ignores those considerations outright. In the As-a-Service economy, it is flexibility in process design and delivery which will win out, and starting with a Design Thinking approach (after training and converting many of the existing process excellence teams) will be the best model for future success. 4) Ensure outsourcing contracts have real actionable measures to develop Capability Brokers across the buyer/provider relationship. Moving beyond the "lights on" tedium of an operations contract has to become paramount in all new contract negotiations. When you listen to experienced governance executives today, many are proudly talking about how they are emphasizing the joint workshop sessions, the bonuses for achieving innovations and improvements, the incentives for achieving productivity enhancements beyond merely moving work offshore. It's not easy to contract for innovation, but many firms are now trying - and finding some success. 5) Ban personal smartphones from being used during the office hours. It's just got to be done. It's the disease terrorizing today's business environment - too many people just cannot focus on their jobs anymore because they are completely distracted by the sheer volume of social media impacting their lives. Seriously, I know hundreds of people (and not just Millennials) who cannot concentrate on one single work task for more than five minutes at a time (and you do too.... you just know it). Force them to focus - you'll be doing them a huge favor... the best performing shared service centers do it, so why not follow their example? 6) Focus on locations where young people still appreciate a service career and have some company loyalty. When you visit smaller cities, there is often still the culture of people going to an office and staying with one company for several years to develop a career with it. They appreciate a job with some security tied to it and have less grandiose career ambitions. In most big Western cities, today, the cost of living is far too high to justify a modestly paid job. Someone was trying to convince me the other day that a family of four in Massachussetts needed a household income of $300K a year just to live reasonably well. Sounds a bit excessive, but they are probably not too far off. Clearly services jobs starting at $25k a year are not going to be very appealing to people wanting to raise a family on the expensive Eastern seaboard of the US (and let's not even get started on California). I dread to think what could happen if we hit another economic downturn (if HSBC's recent viewpoint is correct) with today's working attitudes of the younger generation. There will be millions of unemployed youths angry that the living they felt entitled to never transpired. We can't simply send them to work with a kick up the behind, but we can try to create a career path with a mission, a purpose and strong leadership that inspires the next generation. That's probably the best we can do for now, so let's start doing it! WoW...deep stuff and a complex subject... Millennials and their careers !! You know, there was a time 20-25 years ago when companies deliberately created hierarchy and a chain of boring jobs up and appointed a President at the top. So that 20 something walked by and said...someday I will sit in that cabin. Now the thing is today's kids are too smart for that, I don't blame them for not wanting a BPO career ! ....and of-course you raise a good fundamental point. And I think you raised this earlier as well. To be honest, I am not too sure about the Capability Broker bit and getting folks interested in such roles. I think perhaps it is more about the construct of the industry and how it has evolved in recent times - the dynamics of service provider organizations changed in the roaring 90s and the 2000s...they did not really care about investing/growing talent (despite whatever you may hear to the contrary). Creating deeply engrossing job roles of value, developing opportunities or enriching careers, developing managers that even think this matters...in a world driven by costs and cost reduction, does anybody care even now...so it should not surprise us when young graduates take the same attitude back towards the industry? I blame the parents, personally. I think "socially-retarded morons" is unfortunately a likely compliment. Excellent article. Sadly we've been on this slippery slope for several years now. I do agree that focusing on locations where people still want to take on less glamorous office work is a sound suggestion. Overall it's a generational issue that may not get resolved until the next one! I agree with the issue identified but not the solution. Ban smartphones? That won't attract the millenials who prefer freedom. That's also why they appear unfocused to the older generation who needed to have it all lined-up. It's more seismic than that. The millenials have clocked the fact that automation and AI in both manufacturing and services are going to wipe out 98% of the labor currently required to produce the goods (as in agriculture). I wouldn't be so dismissive of RPA. Creating a few hundred thousand careers in sourcing/brokering solutions isn't going to fix that. Why focus and work hard when it looks like there will be no payback? What is really needed is a new category of product that can't easily be created with the available (and foreseeable) technologies. The characteristics of such a product are likely to be: must be produced at the instant of consumption; involves innovation and artistic flair; requires inimitable human-to-human empathy; contains an element of humor; and, possibly, needs some level of artisan or craft skill to deliver it. 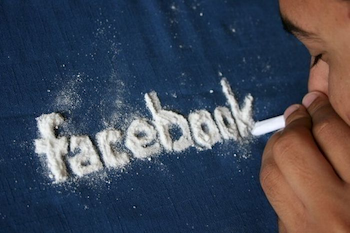 Just the sort of thing that the millenials are now honing on social media. There are points that could be debated, but what you say cannot be ignored. Your writing style certainly calls upon the reader to take a stand. Well done! Phil, interesting article and there is a reason for me to use the term Coach. Well articulated article. Today the freshers getting into the corporate world seem to have a 'career illusion' ; with social media, big technology advancements & innovations happening throughout the world - it makes them believe it is a so easy out there .. it is true for those who stick to the basics - willing to learn, put in that extra effort to go beyond completion of the assigned work. Sadly as this article points out there aren't many really taking their careers seriously. HR functions is several organisations are merely transactional and are failing to think ahead on the competency development needs for the future. While I agree with points in the article and in comments that younger generation in service companies is obsessed with social media, has a ‘career illusion’, does not put in extra efforts and is getting expensive – let’s look at from their perspective as well. They join right at the base of very bottom heavy pyramid structure with a limited visibility of a growth path. The middle managers and team leads are busy in office politics / saving their own jobs. Most of the times, leadership considers fresh graduate only as hands and legs and any resource(yes that’s what they are called) can be pushed into any process. Legacy HR departments with their age old policies don’t help either. 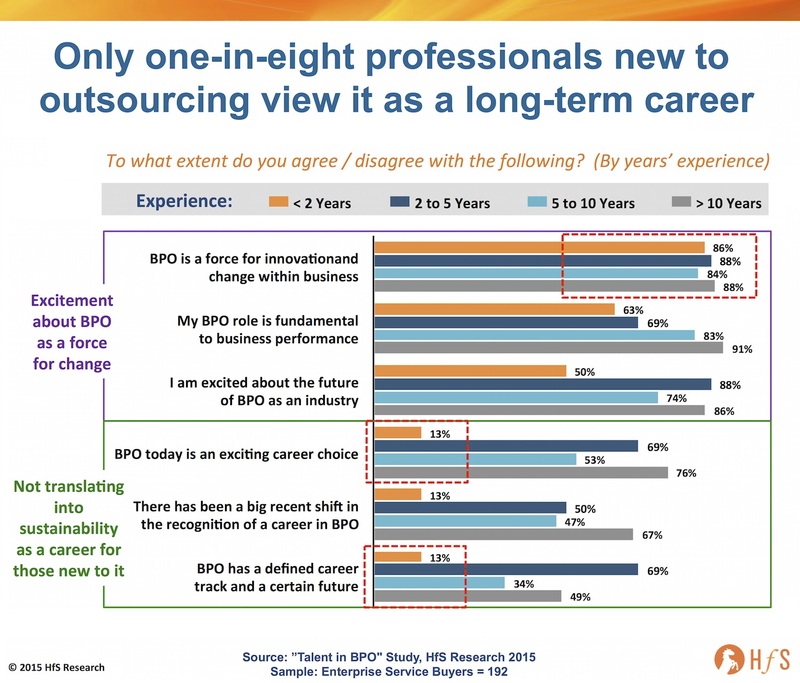 So I’m not surprised why they don’t consider BPO a long term career option. Insightful stuff as always and hard to argue with any of it, but it was especially heartening to see the role of Design Thinking being highlighted. In my experience, some companies (typically growing, younger firms not overly focused on cost management) already value this type of thinking amongst providers and internally. I'd guess its adoption is likely to accelerate as we increasingly value good design in our lives as consumers. When you're freed from a traditional Six Sigma-infused process excellence mindset, you can spend time on more complex, open-ended questions, such as "how we can use internal communities to simultaneously foster cohesive culture and reduce cost of attended service"? I've always found that working on interesting problems is at the heart of job satisfaction. I suspect for many Millennials it'll be the same. Oh and as Durgesh deftly pointed out, maybe we could all start by not referring to them as "resources". What I found somewhat uninteresting about BPO were the terminologies such as Supply Chain, Six Sigma, BPO, FTE, KPI....most importantly..the dreaded word: Widget(please stop using this word). BPO isnt cool, how BPO people dress isn't "millenial", and this whole BPO "vertical" seems very "corporate" and way beyond my or a millennials hoped for paygrade. Plus, for most of the stuff I used, I have APIs that allow me to create more "centralized" systems. Eliminating the need for BPO. To interest the millenial generation you must seem more millenial, which may include changing how you look, how you talk, and what you talk about. I should also mention that BPO related sites look very "Corporate" and unappealing. BPOs current strategy however WORKS, because you get the Corporate clients you need. From experience, Startups, created by millenials do not often need BPO services because they are creating their own APIs. 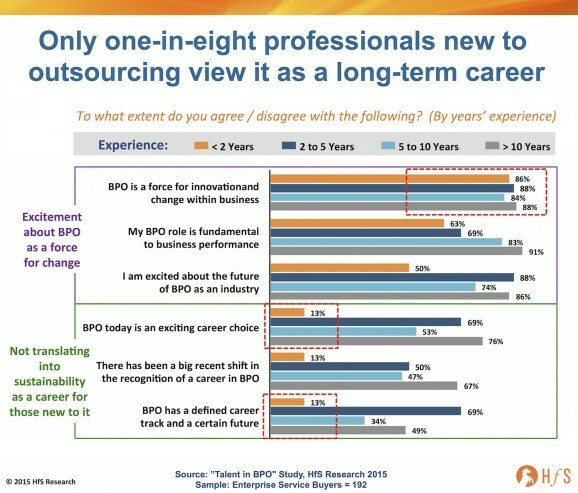 However I believe the need for BPO to "pivot" wont come for another 5-10 years.